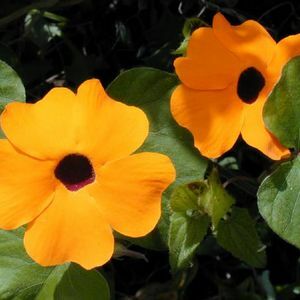 Their brightly colored orange flowers with a contrasting dark throat give this vigorous vine it’s nickname “Black-eye Susan.” In northern New Mexico it grows well outdoors in hanging baskets and planters where it can spill over the side of the container, even going as far as touching the ground. Black-eyed Susan also works on trellises, fences, and in raised beds. They can be mixed with other vines that intertwine with them to make contrasting color combinations. 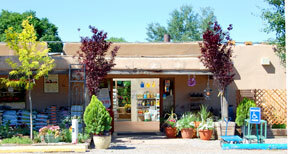 It’s a fast-growing, easy care plant that needs well drained soil that is rich in organic matter.